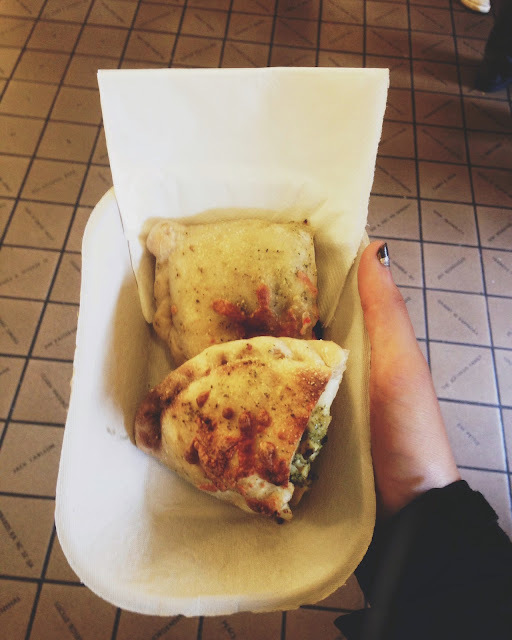 We left off at Pike's Public Market in the last post. The famous fish toss was not all that interesting. They used to toss big, whole fish! But now they throw cut, packaged fish. Still something to see, but not how I remember it. We built up quite the appetite driving up, and of course the caffeine from the coffee made me hungry. We found a vendor that sold meal-ish items. We each got a pesto melt pie and it was so scrmptious! We stopped off at a view point to eat our food, looking out over the bay and getting a hold of the parents to let them know that we were eating, and that we were safe. The view point was so pretty, overlooking the ferris wheel. After we sat down for a few minutes, and enjoyed the view, we walked around the market some more. I was on a hunt for bubble tea. 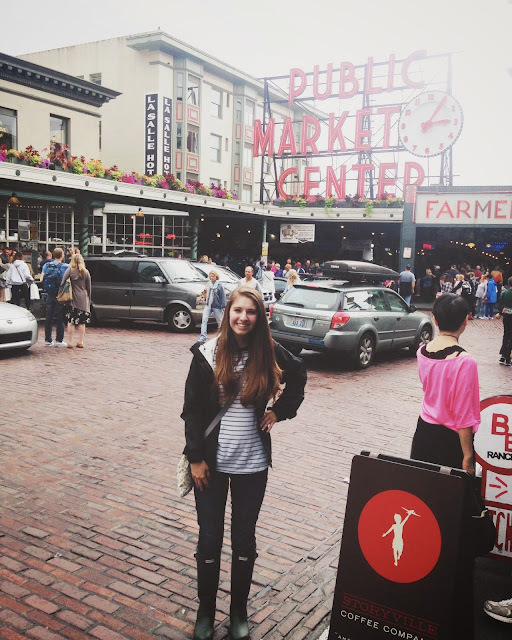 I remember in 7th grade, when my class went on a trip to Whidby Island, we spent the day in Seattle first. 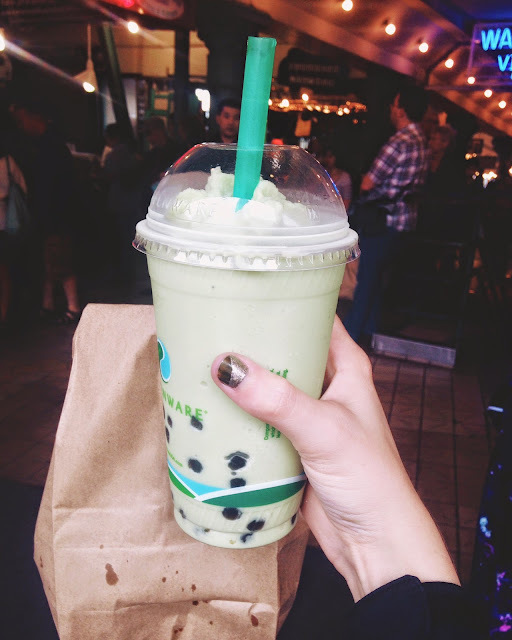 I remember getting a bubble tea at Pike's Market. I wanted a bubble tea yesterday, so I went on my hunt. Across from the bagel company we got our lunch from, we found a sushi place that sold bubble tea! I was very excited about the bubble tea find! It was good boba, and great green tea blend. Morgan got a coconut bubble tea, and I am so glad she liked it! 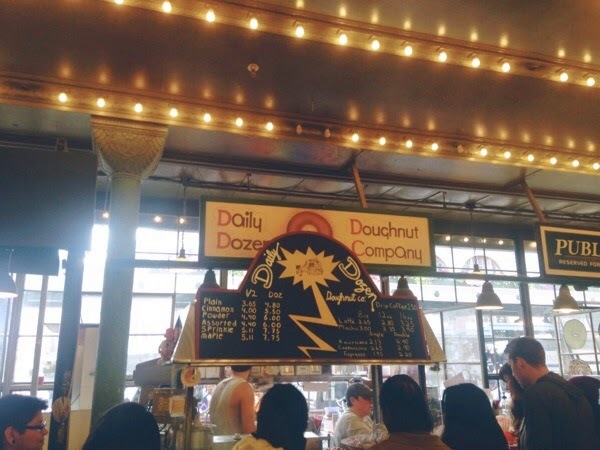 Right next to the bagel vendor, there was a doughnut vendor. 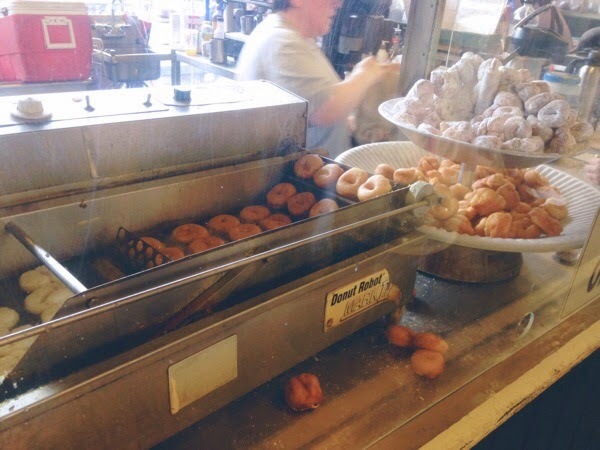 Their mini doughnut machine was covered by glass so the doughnut-making process was on display for passers-by. 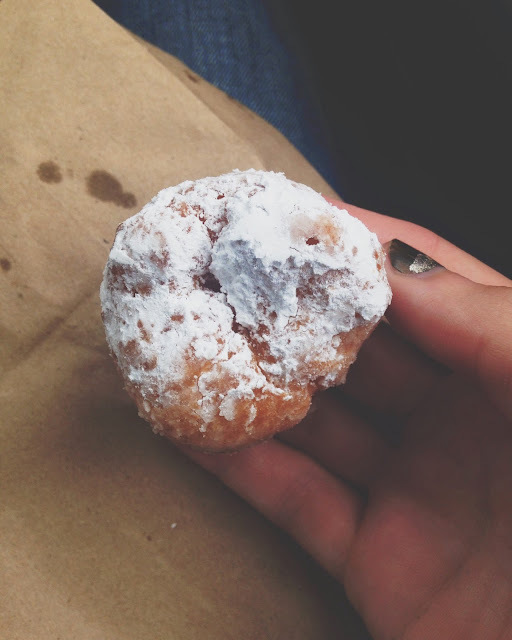 I got a half a dozen of the mini doughnuts, and they were delicious! 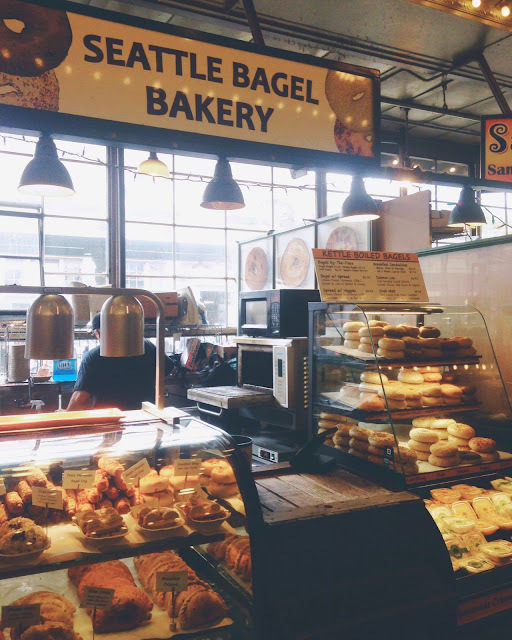 We ended our time at the market with the visit to doughnut vendor and the bubble tea vendor. We had one more stop in Seattle before we made the trek back home. 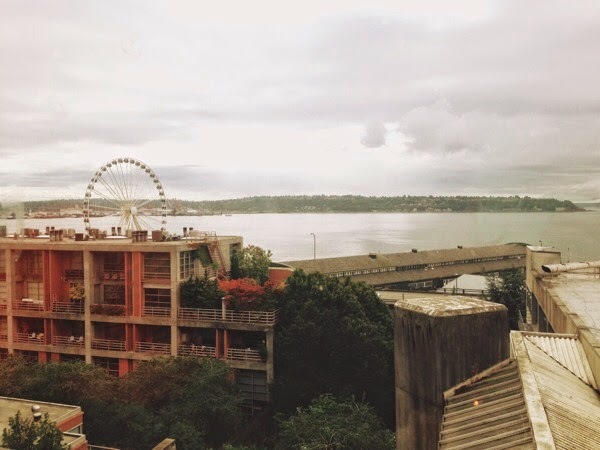 The next post covers the Space Needle at Seattle Center.